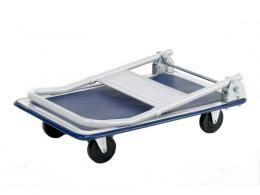 What Is The Purpose of the Folding Mover Flatbed Trolley? This small and compact folding trolley has all the uses of its larger and bulkier cousins, but is much more conducive for storage and travel. It folds away into a small compact size that is perfect for the boot of your car, the side of a truck or even in the back of a motorbike, should you be so inclined. 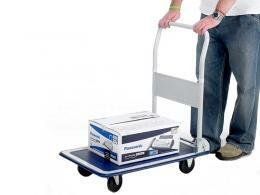 The folding capacity of this trolley ensures that it can pack away and come with you on your travels and deliveries. The platform is a moulded plastic frame on a welded tubular steel frame. Rated for 150kg of goods, this personal sized transport is perfect for anything that you need to move for your own use, or for everyday objects. Keep one on hand for anything unexpected uses as it stores away to be out of sight when not in use. Get yours today. Where Can You Use The Folding Mover Flatbed Trolley? Because of its smaller size, the best place for it is to be packed away until ready for use. This means you can keep it in the boot of your car for any majorly unwieldy goods or heavy items you need transported. You can keep one in your store when receiving shipments or to help your customers out to the boot of their car. 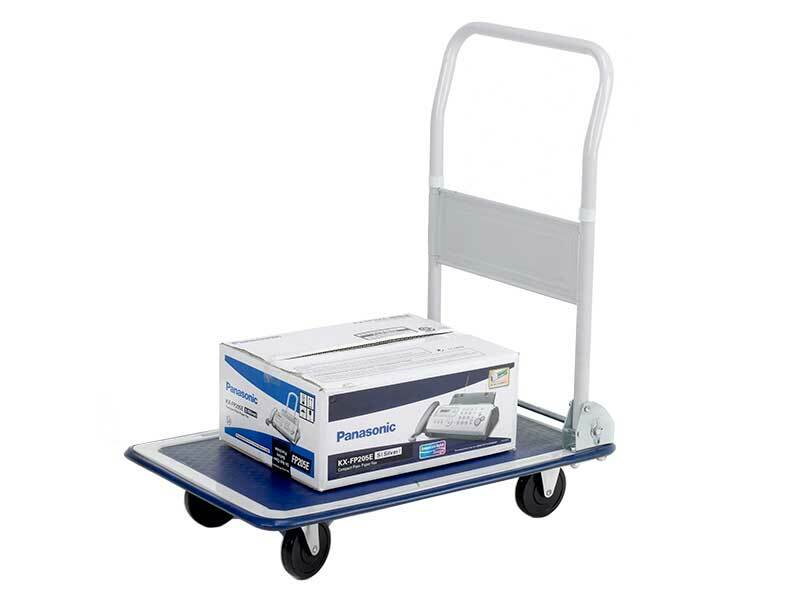 Who Might Use a Folding Mover Flatbed Trolley? The main users for this 150kg rated folding trolley are the smaller businesses and stores that have no need for a larger and more cumbersome trolley that wouldn’t be required as much. The folding handle gives it such a low profile that you can just store it away under shelf or a desk until needed. 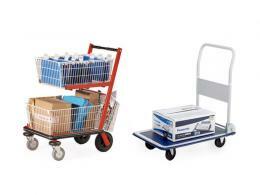 Delivery truck drivers, fruit and vegetable stall owners, paper supply companies and even engine repair shops can use a folding trolley in their everyday life. Normal, everyday consumers can also have one handy for their everyday use as well. Rated to 150kg capacity. Perfect for everyday items and larger boxes and cartons. Rubber platform and non-scuff corners for uses in offices, homes and storefronts. 2 swivel wheels and 2 fixed wheels for convenient steering. 1 year warranty on all parts with every purchase automatically. Powder coated steel handles and frame. 810mm height when fully upright.